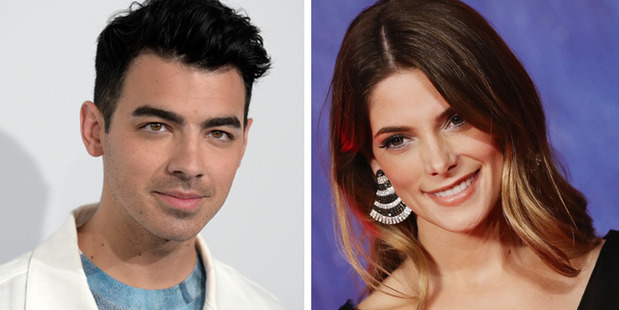 Joe Jonas insists he was happy being "honest" in his recent Reddit AMA, despite seemingly offending ex-girlfriend Ashley Greene when he spoke about sleeping with her for the first time. The 27-year-old singer recalled during a Reddit AMA last week how he had "trashed" his friend's room looking for condoms when he slept with then-girlfriend Ashley Greene for the first time. And though the 'Twilight' actress later appeared to slam him for his comments, sharing a social media post which simply read "Class is timeless", the DNCE frontman claims he was simply being "honest" and telling his own stories. He told 'Entertainment Tonight': "Life's too short, you know? "I mean ultimately, I think of myself as an honest guy. There are just those moments in life where you have to be true to yourself and true to the world. "I'm not out to hurt anybody, but I think, ultimately, I'm just telling my stories and what I can say from my heart." During his Reddit AMA, Joe admitted the circumstances surrounding how he lost his virginity made for a "great story". He recounted: "I lost my virginity to this girl named Ashley. You can probably just Google it. It's pretty easy to figure out. I dated a girl named Ashley, so just Google it to figure out which Ashley that is. "It's quite the great story because I didn't have any condoms, so I went to our drummer, Jack's room, who was my roommate at the time and I demolished his room looking for them. "Found them underneath his underwear drawer. When he came home, he thought somebody broke into his room because his whole room was demolished because I was in dire need. "Needed to happen then and now. Safety first, kids."